SIMPLE CARBOHYDRATES-consist of monosaccharides and disaccharides.These carbohydrates includes glucose. The function of glucose in the body is to provide the cells of the body energy. Other energy sources can be used, but it is the preferred fuel for the nervous system/brain and the sole energy source red blood cells. In other words, carbohydrates are a very important part of any healthy diet. Here’s a breakdown of simple carbohydrates. As stated above, sucrose (table sugar) is 50/50 glucose/fructose. While glucose plays a huge role in the body, fructose plays no role at all. In fact, fructose is considered toxic by some doctors and nutritionists. We’ll get into why (via a video) in a minute. First, let’s talk how much and types of sugar. WHAT TYPE OF SUGAR SHOULD YOU EAT? Below is an infographic I’ve put together, detailing the types of sugar. The best type on the list below, is DATE SUGAR, RAPADURA AND RAW HONEY. I’ll cover these in more detail in a future article. Suffice it to say, these are the least processed of the sugars, and considered a whole food, which means they contain most of the original vitamins and minerals available in raw sugar and honey. Keep in mind that sugar is sugar, no matter what form, and should be consumed in moderation. Here is a free PDF of the Glossary of Sugar (1). Instead of trying to explain how sugar is digested in the system, and just how bad it is for you, (which would take too long) I found some phenomenal videos to explain it. This first video gets a bit scientific and technical, but, does a phenomenal job explaining the in’s and out’s of sugar digestion. It explains how fructose destroys the liver in the same manner as alcohol, creating fatty liver disease, which can lead to cirrhosis. 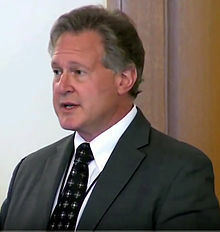 These next two videos are by Dr. Robert Lustig. Dr. Lustig is an endocrinologist, and expert on childhood obesity and sugar. Here is a clip about Dr. Lustig. Robert H. Lustig (born 1957) is an American pediatric endocrinologist. He is Professor of Pediatrics in the Division of Endocrinology at the University of California, San Francisco (UCSF), where he specializes in neuroendocrinology and childhood obesity. An important topic to share! Thank you. 🙏😊 I appreciate your kind words. Since going keto, I don’t even miss sugar. I feel like I have so much more energy, no afternoon crash. With eliminating almost all sugar (except for fiber, because fiber is awesome), I’m taking in much more nutrient dense food such as avocados, asparagus, squash, spinach, kale. Also, after realizing how much sugar and crap is in restaurant food, I’ve saved a lot of money not eating out. Also, losing 20lbs in 8 weeks is pretty awesome too. You’re welcome. 🙂 I’m so glad you enjoyed the post. I appreciate your kind words. You are so right, eliminating sugar, eliminates the crash and thus the lack of energy. CONGRATULATIONS ON THE WONDERFUL WEIGHT LOSS SUCCESS! AWESOME! Have to think twice before taking sugar, thanks for this awakening post. I’ve heard that the brain/nervous system actually prefer to run on fats (the healthy ones of course.) What’s your take on going ketogenic? This phrase is a good illustration for my personal beliefs when it comes to nutrition. I believe there is no one right diet for all humans. Rather, each individual is unique, and requires unique micronutrient and macronutrient percentages. For example, you might thrive on a high fat, keto diet, while I might thrive on a low fat, vegan diet. My research (and my professor-a microbiologist from UCLA) indicates that the brains PREFERRED fuel is glucose. The brain, which takes up only 2% of our body weight, uses 20 – 30% of the calories we consume. Now, that being said, I have done a SMALL AMOUNT of research into the ketogenic diet, AND followed it myself for a short time. I see the ketogenic diet as an extreme diet, just like the fat-free diet. I think society has gone from one health craze to another (low-fat high carb to high-fat low carb-Both are extreme-A good balance is needed) It is not necessarily unhealthy, but I don’t think either diet is sustainable in the long term. I firmly believe that the ketogenic diet shows lots of promise as a therapeutic diet. Epileptics have been using it and research shows it can help in the treatment of brain tumors. I do, however, believe in a high fat diet. As a society, I think we consume far less healthy fat than we should. Every cell membrane is made up of BOTH UNSATURATED AND SATURATED FAT…the body uses fat to make hormones. A healthy diet could, theoretically, consume 30 – 50% of calories from fat. I do believe we consume far to many carbohydrates, which should be held to whole food sources and minimized to 100 to 150 grams per day. You know, right!! The whole cholesterol thing is so misunderstood it’s not even funny. We need it and if we don’t get it in our diets, our liver has to produce it (which is incredibly taxing especially if it has to pump out enzymes as well!) I think a vegetarian diet is very healthy while a vegan diet is dangerous. Any diet that can’t possibly provide all necessary nutrients (B12 anyone?) is not sustainable! I am so glad to see this expose on sugar on your blog. I eliminated sugar, honey, syrup, and any artificial sweeteners (I still use stevia) from my diet a couple of months ago, and, with no other changes, have dropped 10 pounds and lots of belly fat. I can now wear my nice summer clothes that have just been hanging in the closet for 2 years. I am working up to eliminating cow dairy next to see what happens. As of today I am off dairy. I will give it a month, and if I see/feel a difference, I will stay off. Your blog inspired me to take the next step. Thanks! Thanks 🙏. I’ll check it on. Thank you so much. I commend you for giving up sugar. It’s not easy to do. I looked at your bog and followed you via the reader. I would suggest adding a follow button to your page, to make it easier for ppl to follow you. Looks great! And so helpful!!!! BTW, I just looked at your blog. It looks very nice, but I couldn’t find a follow button. To make it easier for ppl to follow your blog, either through email or the reader, I suggest adding those widgets to the top of your blog page. Otherwise it’s a wonderful blog, with a clean look. My pleasure. Thank you for your wonderfully kind words. They are much appreciated. Great post and thanks for bringing this info to light! I’m curious your thoughts on the transition to get off sugar…i.e., do you think it’s better to go cold turkey or to try substitutes like Stevia? It’s a personal choice. I always tell people to do what’s right for them. There’s no one right way to get off of sugar. Everyone is unique. However I personally believe in going Cold Turkey, especially if the person is a sugar addict. I compare it to alcoholism, after all, fructose harms the liver in the exact same way. An alcoholic can’t occasionally drink, and a sugar addict can’t occasionally eat sugar. Using Stevia is fine. Just make sure to use a pure brand, not the stuff in the grocery stores, such as Truvia-which are so highly processed they barely contain real stevia. I am personally allergic to Stevia, and can’t use it. I use Monk Fruit occasionally. Great info here Tamara. I’ve been taking strides to kick the sugar habit over the past few years and have really noticed a big difference (lost 40 lbs so far) by cutting that out, limiting carb intake from grains and the like, and really cutting back on the booze. I’m a big fan of stevia if you can handle it cause it doesn’t cause that spike in blood sugar or generate the same insulin response as regular sugars do. That said, I’ve come across some literature that notes that some of these substitutes will still create a similar response as sugar, so they need to be used in mindful ways. I haven’t personally used Manuka Honey yet, but I keep hearing great things about it and will certainly pick some up soon. My colleague swears by it when she has a cold. Yes, manuka is great stuff. ANY sugar free sweetener, including stevia, can cause carb cravings. For example, if you use stevia to sweeten coffee or tea, and consume no other calories, your body will continue to crave carbs. When it tastes something sweet, your body chemically prepares to digest the oncoming sugar. However, with stevia and other calorie free substitutes, no calories come. So, the body continues to crave sugar until it comes. Studies show that people who repeatedly use calorie free sweeteners typically weigh more than other people. (Stevia is included in this group.) If you use stevia, make sure you consume some healthy carbs with it. Thanks for the note on this. You mentioned a few studies that support these findings and would appreciate some direction on where to find them. My understanding though, isn’t so much that it’s the body preparing to manage a carb intake after consuming sugar-free sweeteners (as you could make the argument that veggies would be in the pipeline, but are metabolized differently than a complex carbohydrate), but rather signaling which triggers a response in the pancreas to release insulin from beta cells. The intake of complex carbohydrates creates this reaction in the pancreas in order to breakdown and metabolize these carbs, whereas the intake of sugar-free sweeteners (such as stevia or monkfruit) cause a signaling to occur but doesn’t necessarily manifest as long as you aren’t consuming said complex carbs. From personal experience, I use some stevia in my coffee in the morning rather than maple syrup or honey as those will cause a spike in blood sugar where stevia doesn’t. I also have not personally noticed an increase in cravings for carbs, but again…this is an n=1 scenario. At the end of the day though, I believe it is the individual’s responsibility to practice mindfulness in their diet and to exert their will-power to offset those cravings. Thanks for the insights and please do correct me if I’m mistaken on some of the science…always looking to learn more! The sweet taste on the taste buds stimulates the release of amylase in the mouth. This triggers a whole set of reactions in the body. The body prepares to metabolize and distribute the carbohydrates by releasing several enzymes and chemicals into the body, insulin is just one of those things. It is a complex process. As I have stated on numerous occasions throughout many of my articles-everyone is biochemically unique. You may not personally be affected by consuming zero-calorie sweeteners. However, that doesn’t mean others won’t be. I agree when you say everyone must be mindful of their own diet. Very true. Also, Stevia is a member of the Compositae or Asteraceae family – like chrysanthemums, marigolds, ragweed or daisies. People allergic to these items, like myself, will want to avoid stevia altogether. As I always say…one man’s food is another man’s poison. You can use stevia and benefit from it. However, to my body and anyone else allergic to it, it becomes a poison. I use manuka honey in my tea everyday without any sugar spikes. (I have a blood glucose monitor and have tested this on myself on multiple occasions) This is because intense amount of nutrients in the honey itself. (as stated in the above video by Dr. Axe) Again, this is just what works for me. Others will have to experiment for themselves. Perfect summary! I wasn’t in tune or had just been ignorant to the fact that some folks were allergic to Stevia and other plant based herbs of the like. You are spot on that everyone is different and I believe we need to experiment to determine what will work for us individually. There are no cookie-cutter diets or magic pills that work for everyone…we all need to navigate slightly differently. Thanks for the great post and insights!